With the help of her angel Mari, Rooney has learned that she has two real superpowers: Prayer and Patience. The adventure continues in Book Three of the Bible Belles series, as Rooney faces her toughest challenge yet. After a tough afternoon with her brother and some neighborhood kids, Rooney is faced with a difficult choice: can she be brave enough to do the right thing? 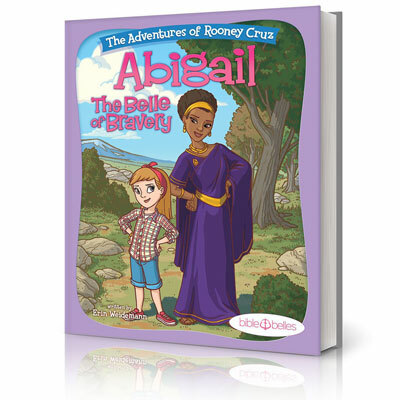 Through the story of Abigail, Rooney learns that she can call upon the courage of God to boldly face any problem with the confidence that He will see her through it. Join Rooney and Mari on another exciting adventure to becoming the best kind of superhero—a Bible Belle!